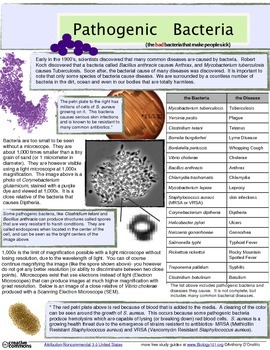 A colorful, one-page study guide for learning what bacterial species cause common diseases. This is in Word format so you can edit the document as you would like. Some diseases that are included are Tuberculosis, the Plague, Tetanus, Lyme Disease, Anthrax, etc.